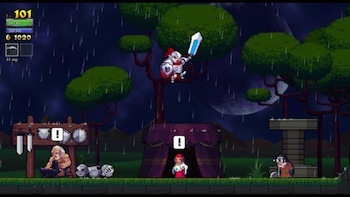 Mac and Linux ports of Rogue Legacy are "very close" to launch. "We're still working on another patch for Rogue Legacy. It hit a few snags, but we really want to get some extra content out for those people who are interested," said Lee. "And we've also been discussing what our future project is going to be, but we haven't gone forward with anything just yet." The ports have been the victims of the game's initial success. Lee said the Mac and Linux versions had to be outsourced so the studio could reorganize its business and plan its next project. The ports may delayed a little bit more in order to add the new content to the package pre-launch. While their next project remains a mystery, Cellar Door Games is also bringing Rogue Legacy to PS3, PS4, and Vita next year.